The Standard EasyClip is the perfect fastener for kiln dried hardwood decking and the system is ideal for installations using Ipe, Garapa, Massaranduba, Kumuru, Teak, Red Iron Bark and even Saligna. The Composite EasyClip is designed for a variety of your favourite composite, PVC decking and fibre cement boards, while the Xtreme EasyClip works very well with softwoods and for higher traffic installations, like jetties and walkways. The EasyClip system is supplied with a choice of Stainless Steel or Geomet Carbon Steel screws in 25mm (self-tapper), 30mm or 45mm lengths with Torx T-10 head for easy installation. The EasyClip system has a built-in hollow spacer for an easier installation that is specifically designed to allow for the natural movement of the boards without comprising the quality of the EasyClip. 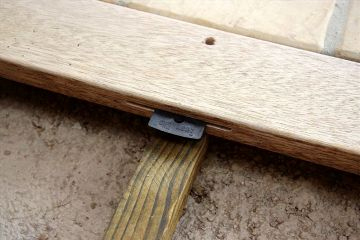 Eliminating those unsightly screw lines that end up cracking and rotting around the screw, the EasyClip system is installed with pre-grooved decking or by making the slots with a biscuit cutter. Treating the groove or biscuit slot with a high-quality deck board sealer is recommended prior to installation and is a quick and easy way to ensure a longer lasting installation. Tried and tested in all climates around the world, from the dry hot deserts of Namibia and the tropical climes of the Seychelles, to the cold, wet winters of the UK. Manufactured from virgin high-strength polypropylene with a Carbon Black finish for extra UV protection, the EasyClip system comes with a 25-year limited warranty. 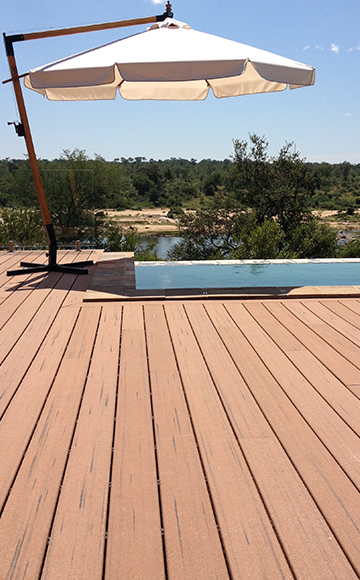 Timber decks: Only use kiln-dried boards with a moisture content of less than 15%. Composite & PVC decks: Make sure you are using good quality decking with minimum expansion and contraction characteristics from a reputable supplier with a decent warrantee. Please refer to your local building specifications to determine the correct joist spacing. The maximum space between joists should not exceed 450mm. Do not over tighten screws, just tighten snug to the EasyClip fastener. When using pressure treated timber for your support structure, ensure the timber is fully dried before fastening the deck boards. Shrinkage and expansion of deck boards may vary according to the choice of product, climate and region. Lay decking material on site long enough to allow the decking material to acclimate to the site conditions and minimise shrinkage. Only use the EasyClip screws provided. Please note that this is only an estimate and quantities various depending on the complexity of the deck.